Former UFC light heavyweight champion Chuck Liddell announced Monday that he will fight again, a breakdown of the ESPN+ deal and how it changes the UFC's structure, Dan Henderson vs. Mauricio "Shogun" Rua fight to be added to the UFC Hall of Fame, ONE Championship launches app, and more. 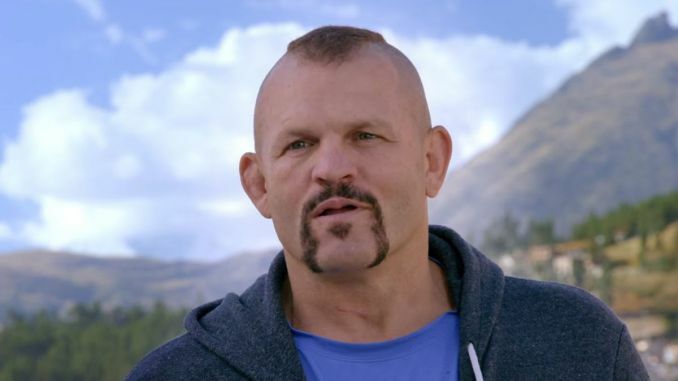 **Former UFC light heavyweight champion and Hall of Famer Chuck Liddell announced Monday on The MMA Hour with Ariel Helwani that he plans to fight this year. Liddell stated he has been in talks with Oscar de la Hoya for a proposed MMA event that Golden Boy Promotions would put on. Liddell is hoping to fight Tito Ortiz for the third time but stated he will fight again regardless if it’s against Ortiz or someone else and estimated November for a timetable to fight. He added that he will also talk with Bellator. Liddell is 48-years old and last fought in June 2010, where he was stopped by Rich Franklin at UFC 115. Liddell became one of the biggest stars in MMA history, becoming the UFC’s light heavyweight champion in April 2005 and the company’s biggest star as it exploded on pay-per-view from 2005 onward. He remained champion until May 2007 when he was defeated by Quinton Jackson at UFC 71. Following the loss to Jackson, Liddell went 1-4 in his remaining fights and lost and was stopped by Rashad Evans, Mauricio “Shogun” Rua, and Franklin. Liddell took a position within the UFC organization after Dana White publicly expressed his desire to see Liddell retire, that position became redundant and Liddell was let go by the UFC in 2016 after the purchase by WME-IMG (now Endeavor). **Dave Meltzer has a great breakdown of the UFC’s new streaming deal with ESPN+ and the impact it will have on the UFC’s business. I spoke about the deal at length on Saturday’s UFC 223 Post Show, it a nutshell it’s a home run for the UFC with less reliance than ever on specific fighters or stars. The deal ensures $150 million in streaming rights for 15 cards from the promotion, in addition to Dana White’s Tuesday Night Contender Series, a new series being developed by IMG, and shoulder programming. The UFC’s domestic television rights package is still to be announced with prior reports that Fox was willing to pay $200 million per year for an extension, which would bring their domestic rights package to at least $350 million per year. The combination of both ensures enormous growth in the UFC’s profit margin and less reliance than ever on pay-per-view and the fighters themselves. It’s remarkable to watch as the UFC and WWE experience the effect of sports rights continuing to rise with streaming rights entering the arena and that fighters and performers are entitled to nothing. The blueprint was in place years ago, fighters have known since 2011 when the Fox deal was expiring and seeing other athletes in unionized leagues benefiting directly from escalating rights fees. Conversely, the WWE talent saw the renewal with NBC Universal in 2014 in the same year where pay-per-view was dramatically decreased in favor of the WWE Network and yet no action was taken to ensure the received a piece of the pie the next time there was a renewal. **The Fight of the Night bonus from Saturday’s UFC 224 card went to Kelvin Gastelum and Ronaldo “Jacare” Souza. The Performance bonuses were given to Lyoto Machida and Oleksiy Oleinik with all four fighters receiving $50,000. **The UFC announced during Saturday’s broadcast that the classic fight to be honored at the Hall of Fame this year will be the Dan Henderson vs. Mauricio “Shogun” Rua bout from UFC 139 in November 2011. The fight is revered as one of the greatest fights in MMA history and took place the same night as the first fight between Eddie Alvarez and Michael Chandler in Bellator. Henderson and Rua will be honored at the Hall of Fame ceremony during International Fight Week in July. The other inductees include Matt Serra in the Pioneer Wing, Bruce Connal and Art Davie in the Contributor’s Wing and they still have the Modern Era recipient to announce. **The second season of Dana White’s Tuesday Night Contender Series will premiere on Tuesday, June 12th on UFC Fight Pass and runs through August 7th. Greg Hardy will fight on the first episode of the season against Austen Lane. The biggest fighter on the series this season is lightweight Nick Newell, who will fight July 24th against an opponent to be announced later. **The UFC is running a Fight Night card in Santiago, Chile this Saturday night and is headlined by Kamaru Usman taking on late replacement Demian Maia, who is replacing Santiago Ponzinibbio. The card will begin at 6:30 pm Eastern on Fight Pass, the televised prelims are airing at 8 pm on FS2, and the main card is airing at 10 pm on FS1. **ONE Championship recently launched their own app, which will be streaming their fights free of charge, beginning with this Friday’s event from Singapore. The card on Friday begins at 7 am Eastern with three prelim bouts and the main card streams at 8:30 am with Angela Lee defending the Atomweight title against Mei Yamaguchi, Christian Lee takes on Martin Nguyen for the featherweight title and Shinya Aoki is fighting Rasul Yakhyaev. The app can be downloaded from the app store on your iPhone or other streaming devices.